Reynaldo Bungubung, Department of Interior and Local Government (DILG)–Region 12 acting director, said Tuesday majority of local officials, leaders and representative of different sectors in the region that joined the recent consultations conducted by the agency have expressed support to the continuation of the SK mechanism. 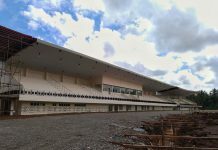 Region 12 comprises the provinces of South Cotabato, Sultan Kudarat, Sarangani, North Cotabato and the cities of General Santos, Koronadal, Tacurong, Kidapawan and Cotabato. He said the consultations involved 36 participants composed of elected local officials, representatives from national government agencies, non-government organizations, league officers and other local government officials. 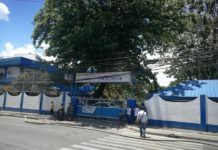 The initiative was in compliance with a memorandum issued last Aug. 14 by DILG Undersecretary for Local Government Austere Panadero for the conduct of regional public consultations on the SK, he said. In a position paper released by DILG-12 as a result of the consultations, Bungubung said the participants were initially divided on the idea whether to reform or abolish the SK. But majority or 64 percent of them eventually recommended its stay, along with the setting of various reforms, he said. From the start of the filing of their candidacies and up to the elections, he said most SK leaders are not aware of the system, their roles as well as the scope and essence of the youth in governance. He said they noted that SK leaders had failed to perform their mandated roles and functions as representatives of the youth in their communities; youth leaders looked at SK as merely and plainly a position and don’t internalize their responsibilities; the discharge of SK functions is limited especially on the access of funds as they are under the control of the barangay chairs; and, that the SK is being used as breeding ground by some politicians for their political dynasties. “They believe that the SK is exposed early to dirty politics and becomes a training ground for corruption,” the official said. 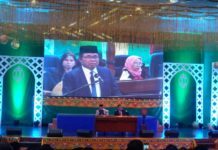 Bungubung said among the recommendations agreed during the consultations were the conduct of social preparation for the participating youth prior to the conduct of the elections to inculcate in them the essence of public service and youth leadership. “The social preparation for the youth will include capacity building on leadership, skills development, values formation and moral recovery to prepare them as leaders of the community. Through this, they will learn to appreciate and internalize what leadership is all about,” he noted in the six-page position paper.